The quaint and remote village of Garvagh is located within County Londonderry, on the banks of the Agivey River. As of the 2001 census, the village had a population of 1288, which makes it a lovely change in atmosphere for us when we visit to improve homes in the area compared to the hustle and bustle of large cities. Garvagh was founded in the early 17th century and later grew into a middling-size market town. One of Garvagh’s most prominent features is the stone clock tower, thanks to the tower’s positioning on the main route through the town. If you live in Garvagh and you’re in the market for improvements to your home that will positively impact both the aesthetics and practicality of your property, don’t hesitate to get in touch with us. 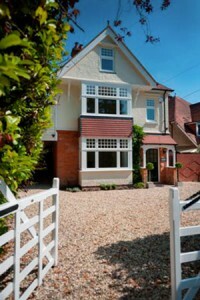 You can also browse our website to see the various windows, doors, and home extensions we offer.